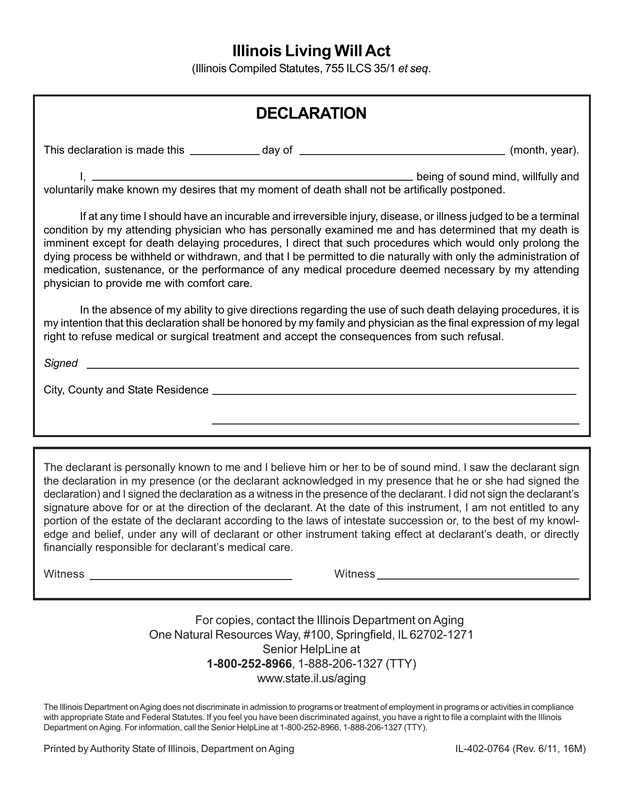 Download the Illinois Living Will, also referred to as a written declaration, which is a form that allows you to request in advance that medical treatment be discontinued or withheld in the event of certain terminal conditions. In Illinois, the legislature set forth the following with regard to a living will: “Purpose. The legislature finds that persons have the fundamental right to control the decisions relating to the rendering of their own medical care, including the decision to have death delaying procedures withheld or withdrawn in instances of a terminal condition.